What Features are Included on the Honda Sedans? Monroe drivers enjoy having a vehicle they can rely on, and a Honda sedan is the right mix of reliability and style. 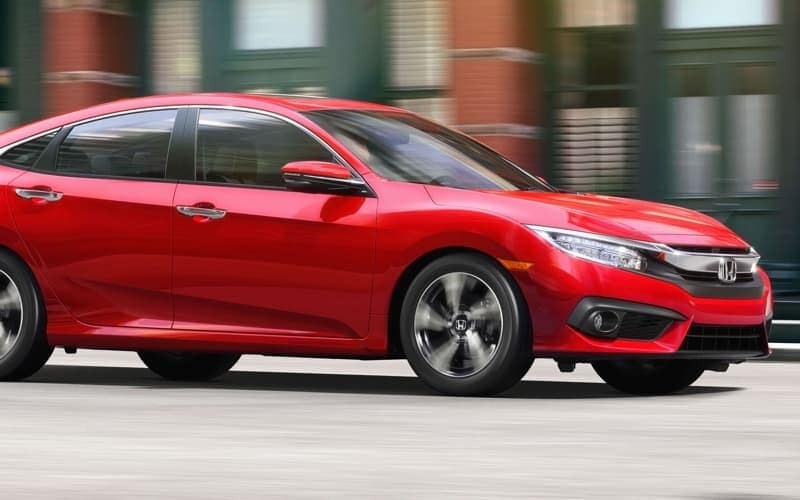 No matter what specific features you’re interested in, or where you want to take your vehicle, a Honda sedan is a great option to get you where you need to go while enjoying the ride as well. Learn more about the unique Honda sedan options available today at Middletown Honda. No matter how you want to zip through the Goshen roads, doing so with a Honda sedan is easy. That’s because each model was designed to include performance features that allow them to stand out from the competition. Inside the new Honda Civic, you’ll enjoy a 2.0L four-cylinder engine that delivers 158 hp and 138 lb-ft of torque. On the new Accord, you’ll get the 1.5L VTEC® Turbo four-cylinder engine that offers 192 hp and 192 lb-ft of torque on the LX, EX, and Sport models. No matter which one tickles your fancy, there will be a Honda sedan for you to take home. If there’s one thing every Honda sedan knows how to do, it delivers incredible technology inside all its vehicles. On these sedans, you’ll find features such as Remote Engine Start, which lets you get your vehicle ready to go from another location. Apple CarPlay and Android Auto make it easy for you to connect your smartphone directly to your vehicle for better use and more accessibility. 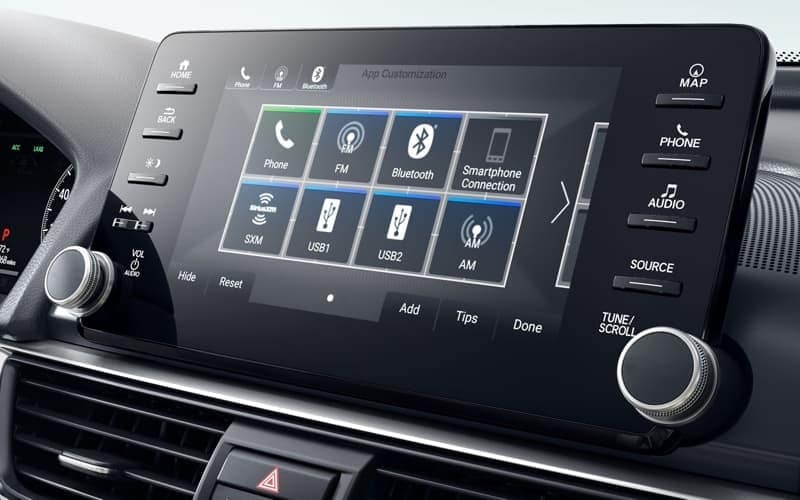 You’ll also have access to Bluetooth® technology as well as sound options like HD Radio and SiriusXM radio, ensuring you have all the entertainment features you could ask for. Whenever you get behind the wheel, ensuring you and your passengers are safe is always the top priority. Honda knows this, which is why every sedan comes with a wealth of safety features that were designed to prevent and protect on the roads. 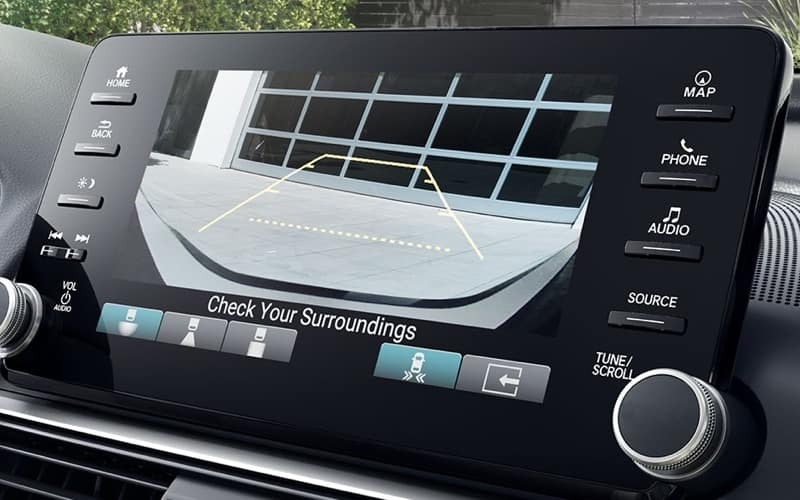 For starters, the multi-angle rearview cameras also make it easy for you to see what’s going on around your vehicle, delivering an added level of safety. Additional protection features such as Honda LaneWatch also ensure you and your passengers are constantly kept safe every time you hit the Monticello roads. Monroe drivers have great choices when it comes to Honda sedans. No matter what exactly you’re looking for, be sure to find the right model that suits your needs from the popular new models below. When saving the planet is high on your to-do list, the 2018 Honda Accord Hybrid is the right choice. With three different trim levels to choose from, you can receive a model that comes standard with Honda Sensing safety technology, heated front seats, 10-way power driver’s seat, LED headlights, satellite-linked navigation system, leather-trimmed seating, and so much more. The 2018 Honda Accord sedan is another great choice for Goshen drivers. With a starting MSRP of only $23,570*, this is definitely a model that makes sense for drivers looking for style on a budget. The 16-inch alloy wheels deliver a stunning look from the ground up, while the dual-zone automatic climate control makes it easy for everyone in the cabin to have the temperature they desire. Finally, opt for the higher end model like the EX-L, and you’ll receive a memory driver’s seat, heated front seats, and so many additional quality finishes. The 2018 Honda Civic sedan is one of the most affordable vehicles in the Honda lineup. This model has a starting MSRP of $18,940* and comes standard with plenty of great features, such as six-speed manual transmission, automatic climate control, multi-angle rearview camera, and more. Plus, you’ll also have your choice of five trim levels to choose from, which means there’s definitely a model that best suits your specific needs. Finding the right Honda sedan means having to really have an idea of what you’re looking for in your next vehicle. The best way to make this decision is to visit Middletown Honda to see all the sedans in person. This way, you can decide which style, what technology, and which performance features—among other things—make the most sense to you. Check out our showroom at 520 Rte 211 E in Middletown, NY to see which one you love, or feel free to contact us online or by calling (855) 473-3050 to learn more about our vehicle financing.